Some interesting Apple rumors have surfaced predicting new Apple products on the way including revamped iPods, a 7-inch iPad and the next iteration of the iPhone. The new rumors are courtesy of an anonymous source that spoke with gadget blog, iLounge. It's always wise to take these purported leaks with a grain of salt, but iLounge argues its source has been right about other Apple gadgets before including the iPad. With that in mind, here are the highlights from the latest rumors as well as a best guess about what's likely and what's not. We could see a revamped iPod Nano, a new iPod Touch and possibly even a 1.7-inch touchscreen iPod to replace the Shuffle, according to iLounge. The gadget blog is also guessing Apple might shave half an inch off the current iPod Touch's 3.5-inch screen and go with a 3-inch display instead. It should be no surprise that iPods are next up for a refresh since Apple regularly announces a fall event touting new iPods and a revamped iTunes. In 2009, for example, Apple launched the camera-enabled iPod Nano, a cheaper iPod Touch and iTunes 9. A 1.7-inch touchscreen for the Shuffle sounds a little far-fetched, but a new Touch is likely, especially with persistent rumors about a camera for the device. As for the Nano, that device has already been revamped twice in as many years. Unless it's getting an amazing new feature set or a touchscreen, I'd be surprised to see a Nano refresh yet again. 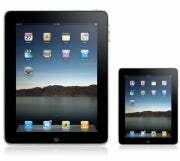 Rumor has it we'll see a smaller iPad with a 7-inch screen debut later this year or early 2011 at the latest. No specs were mentioned such as a front-facing camera for FaceTime or what the device's screen resolution would be. Since this is the iPad's first year in the wild it's hard to know what to make of this rumor. The iPad debuted in January, and if the company plans on a yearly release cycle for the device an early 2011 launch makes a lot of sense. Then again, a new iPad might just be the trick to liven up the company's annual iPod event. The iPod may have been popular once, but these days Apple reports declining sales for its iconic MP3 player almost every quarter. As for the 7-inch screen size, that's a rumor that harkens back to the iPad's pre-launch days as the rumored Apple Tablet. But now that the iPad has launched, an iPad Mini rumor feels a lot like the iPhone Nano rumors that have never come to pass. The next iPhone could be out as early as January in an attempt to overcome the antenna issues that plagued the iPhone 4, iLounge's source says. Even iLounge isn't buying this one, and it's not hard to see why. A next-generation iPhone coming in January ranks right down there with rumors that Apple delayed the white iPhone 4 to solve the death grip issue. The fact is, Apple may be a little miffed about the PR fallout from the iPhone 4, but the sales numbers and user satisfaction levels for the device tell a different story. 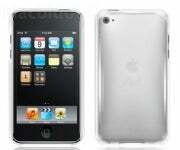 Apple sold 3 million iPhone 4 devices during the first three weeks the handset was available. A recent study by the Nielsen Company found that 90 percent of iPhone users would stick with Apple's device when it comes time for their next smartphone purchase. To mitigate concern over the iPhone 4's antenna problems Apple recently announced a free bumper giveaway, and customers appear to be satisfied with the solution. So what cause does Apple have to come out with a brand new iPhone in January instead of the typical June debut? Sure, Apple might look at revising the iPhone 4's antenna design if it can figure out an easy fix that doesn't throw the company's manufacturing process into chaos. But the iPhone 5 in January? Forget it.